Experience Nivella’s childhood in the bonus chapter! 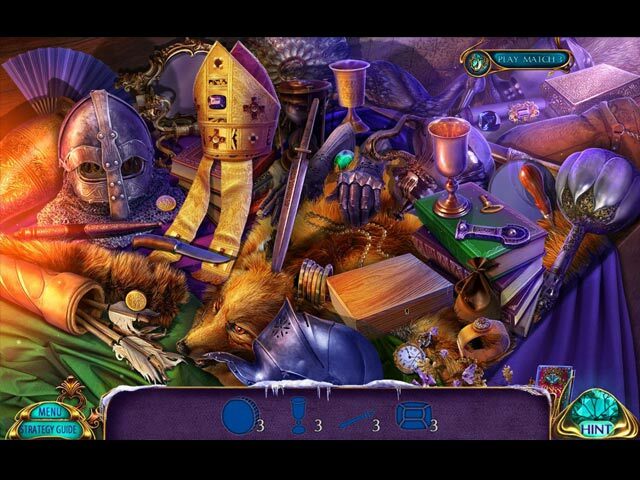 Uncover tons of bonus hidden artifacts and chess pieces! 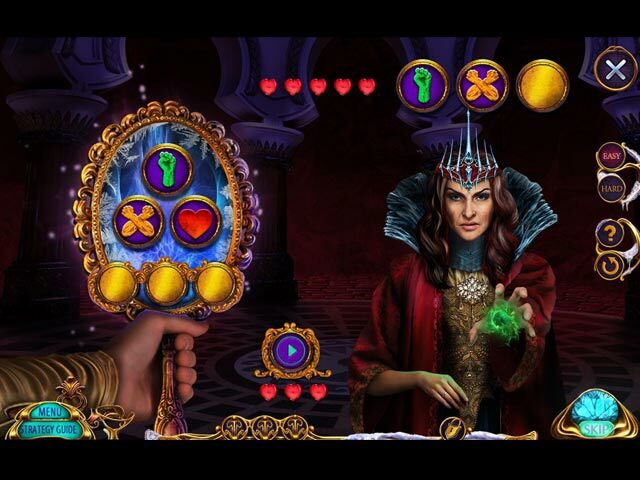 Gather lilies to purchase adornments for your royal chambers! Enjoy exclusive wallpapers, music, achievements, and more! 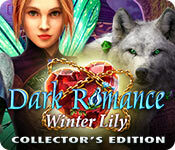 Dark Romance: Winter Lily Collector's Edition is rated 4.0 out of 5 by 27. Rated 5 out of 5 by wildweasel from How Can Someone So Good Be So Bad? This is the first time I've ever played a HOG with two different characters; it kept me engaged in the game. And some of the HOS's were unique which also kept me engaged. And ah yes, there were two Ladders to find and repair along with the multitude of keys to be found for every type of lock. The Bonus Game isn't quite as good as the Main Game, but it is well done and explains why the Darkest character becomes so and kinda makes you feel sorry for her, since she did something so good, to become so bad. I will recommend this game. Rated 5 out of 5 by HonoreDeBalzac from A nearly PERFECT game, TONS of game play...LESS story. I love love LOVED this game, it was everything I like. 1.There were not the excruciating strange noises that hurt your ears. 2. It was constant gameplay, not just three areas in a scene and a ton of effects. 3. There was not a lot of story. After all, I pay for a GAME, not a book. 4. The minigames were easy and original, I was able to quickly finish them because truly my favorite thing is the find and use aspect of these games. 5. Even the find and use parts were original. I PRAY they come out with more like this to quench my big fish cravings...WELL DONE!! Rated 5 out of 5 by valintine1 from Superior graphics I play Hidden Objects games to relax; I don't care if the story line is exciting or just a medium for the game. This game is beautiful! Stunning scenes! Really made me stop and appreciate the backgrounds. I found it enjoyable, plenty long enough, and I liked the HOPs, although I am not good at the harder puzzles. I love morphing objects but these games have items to find even if they don't morph. This is my first in this Dark Romance line but won't be my last. Rated 5 out of 5 by goatlady92 from Fairy Tale Magic ** Completed Main Game and Bonus Chapter ** What an excellent take on the Snow White story! I love the Dark Romance series and this game is my favorite of them all. In Dark Romance fashion, you play two characters throughout the game... King William and Princess Lily. Transition between the two characters is seamless and the story flows in a logical way. The puzzles are varied, as are the HO scenes. The graphics are beautiful and the voice acting, for the most part, is good. One exception is King William's mother. Her voiceover is really bad. That's literally the only thing I could find wrong with the game, but it's such a small part that it's easy to look past that one flaw. I'm sure others could find more to complain about, but the game was near perfection for me. This is definitely worth the CE price tag. There is bling galore and numerous achievements to earn. I highly recommend this game! Rated 5 out of 5 by wild_irish_rose from Fun Game with all the Bell's and Whistles Fun Factor was great especially switching between the Hero and Heroine. The visual and sound quality was terrific and deserves an award. 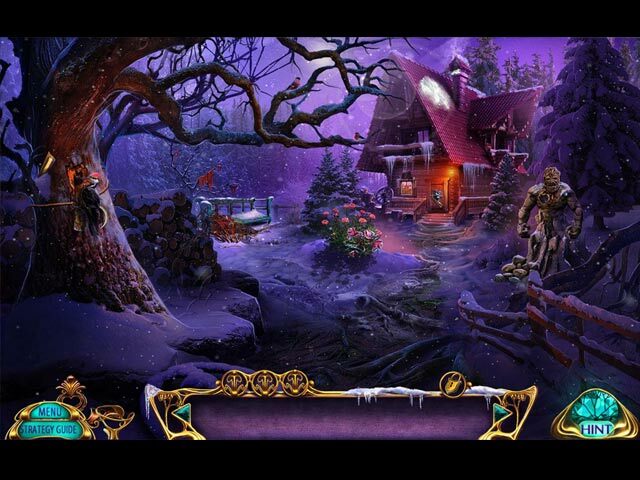 Level of challenge was intriguing even in the hidden object play. The storyline was NOT same old, same old fairytale lore it was intriguing. I hope whoever was the author keeps giving us new storylines. It was worth the price. Rated 5 out of 5 by Majestyx12 from A kind and couragous woman and a man who fell in Love Based on the completed game and bonus 5 chapters + Bonus chapter. I love the stories of this maker. I'm a hops fan that found 16 mini-puzzles that I liked and 21 mini-puzzles I didn't like. 37 mini-games total and only 18 hops. But this maker always has lots of puzzles. The scenery is beautiful and I like the story. My favorite hops was a stained glass window that you have 3 lens you push and it changes slightly. I found some hops that I think are puzzles and I didn't like them. Like the feather so called hops. The only way I could tell they were hops was by the match 3 alternative on it. I also looked on the guide and it said hops but to me it was a puzzle. My favorite puzzle is the arrow puzzle and the snow flake in the beginning. They had plenty others. The game play was smooth and I knew what to do. I liked the kindness of the woman. She fed the wild life because she didn't want them to go hungry. Not that it's wise in real life. I thought it was strange that Queen Grace has a southern accent and her son, King William didn't. I liked the main game more than the bonus game. The collectibles 12 chess pieces that are figures that have info. 15 Dwarven Artifacts that has info and the beard protector comment is funny. Now the ones I mentioned are item for item. The 48 lilies you would think are 48 individual lilies but they aren't. In the bonus, I was wondering how was I going to collect the remainder 12 lilies. Well, they counted multiples in areas. 2 here etc. Felt cheated. The music doesn't continually play. It stops quite a bit. I think it should always play and I can turn it down if I want to. I want that option in a game. I didn't like the blur at the cut scenes. Now this game is data rich at 1.5Gs. I played it twice now and I'm happy I have it. Overall I loved this game. I don't need perfection to love a game but I would prefer it. Perfection is rare. I just love playing games and I'm interested in most series. 20 notes, 20 concept art, 15 wallpapers, achievements. Replay 18 Hops, 18 mini-game, 35 Movies and 5 music. Decorate with the lilies points you collected in the Royal Chambers. Rated 5 out of 5 by MsReddFox from I Love the Dark Romance Games! I really enjoyed playing the demo, and I will soon own it. I loved the characters, but one complaint I have, and maybe some will disagree with me, is that when there is fairy's involved they always have high squeaky voices! Just once I've love to hear the voice be a grown woman's, or at least the voice of a teen age girl. It's hard to take a fairy seriously when she has that high squeaky voice. For some reason that irks me. The rest of the demo was very enjoyable. You collected dwarf objects, pink lilies, and chess pieces.Some of the collectibles are in the scenes when you click on something to see what it's about. I didn't see any morphs. The HO's were fun...some you had to find the objects, some with shadows of the objects,some that were interactive, and some were story form; I really like the story forms HO's. I can't say much about the mini games because I skip those when I play a demo and have limited time. The graphics are great, and I love the looks of the king and princess. SHE doesn't have a squeaky voice! lol The game is filled with bright colorful scenery, even though it's winter time. I almost always don't like games that are all winter scenes, but this one was fine. When it was dark you could still see everything clearly. I can't wait to buy it....hopefully this coming week-end will have a good sale. If not, I'm buying it anyway.